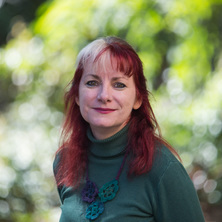 Since returning to academia from industry in 1998, Associate Professor Lydia Kavanagh has become a leader in engineering education and has used her background as a professional engineer to design both curricula and courses for active learning by combining real-world projects and specialist knowledge. She has had a significant impact on the delivery of UQ’s undergraduate engineering program which has an annual intake of 1200 students through creative new teaching pedagogies including the Flipped Classroom, innovative authentic approaches to assessment, and the introduction of multi-disciplinary courses. As Director of First Year Engineering, Lydia is also responsible for a significant program of extra-curricular transition support for first year students and she co-coordinates two compulsory courses that deliver what could arguably be the world's largest flipped classroom in a large flat floor space that seats 600 students at round tables. Lydia is also heavily involved in disseminating best practice through the Teaching and Learning Development Program (TLDP) that she developed and leads for EAIT Faculty. The TLDP offers Professional Development for existing and new staff, Graduate Teaching Assistants, and tutors as well as fostering a community of practice through an annual forum and a mentorship program. Lydia’s work was recognised with an ALTC Excellence in teaching award in 2011 and she has lead and participated in Carrick/ ALTC/ OLT projects on teamwork, online learning, curriculum innovation (2x), preparing students for first year engineering, and Flipped Classrooms. Lydia has delivered Flipped Classroom workshops across discipline and to both national and international institutions. The workshops have helped take the mystery out of flipping the classroom and have given academics a framework for developing their own flipped classroom. Much of her work in developing online tools (e.g Teamwork in Action - a module providing team training and resources, GetSet - a prepatory quiz for first year engineering, WebPAf - an adapted peer assessment tool originating from The University of Loughborough, BrainCloud - a real time crowd response 'wordle') has also been freely disseminated across institution and across discipline. Reidsema, Carl A., Kavanagh, Lydia and Jolly, Lesley (2014). Flipping the classroom at scale to achieve integration of theory and practice in a first year engineering design and build course. In: The ASEE 2014 Annual Conference and Exposition 360 Degrees of Engineering Education: proceedings. 121st ASEE Annual Conference and Exposition: 360 Degrees of Engineering Education, Indianapolis, IN United States, (). 15-18 June 2014. Book Chapter: Simulating work: can simulators help develop a workforce? Chen, Shaun and Kavanagh, Lydia (2013). Identification of issues faced by international students in first year project-based engineering classes. In: Charles Lemckert, Graham Jenkins and Susan Lang-Lemckert, Proceedings of the 24th Annual Conference of the Australasian Association for Engineering Education: AAEE2013 Proceedings. AAEE 2013: 24th Annual Conference of the Australasian Association for Engineering Education, Gold Coast, QLD, Australia, (1-11). 8-11 December, 2013. Kavanagh, Lydia, O'Moore, Liza and Jolly, Lesley (2012). Mad as hell and not taking it any more? : job satisfaction amongst engineering educators in Australian universities. In: Llewellyn Mann and Scott Daniel, AAEE 2012 Conference Proceedings. 23rd Annual Conference of the Australasian Association of Engineering Education (AAEE 2012), Melbourne, Australia, (600-608). 3 - 5 December 2012. Conference Publication: The Teaching and Learning Development Program: an opportunity to excel? Kavanagh, Lydia, O'Moore, Liza, Papinczak, Tracey, Reidsema, Carl and Crosthwaite, Caroline (2012). The Teaching and Learning Development Program: an opportunity to excel?. In: Llewellyn Mann and Scott Daniel, AAEE 2012 Conference Proceedings. 23rd Annual Conference of the Australasian Association of Engineering Education (AAEE 2012), Melbourne, Australia, (591-599). 3 - 5 December 2012. Simulating work: can simulators help develop a workforce? The Teaching and Learning Development Program: an opportunity to excel? Hyde, R., Moore, R., Kavanagh, L., Watt, M. and Schianetz, K. (2007). Indicators, Audits and Measuring Success. In A. Nelson (Ed. ), Steering Sustainability in an Urbanizing World (pp. 99-109) United Kingdom: Ashgate Publishing. Kavanagh, Lydia and Cokley, John (2011) A learning collaboration between Engineering and Journalism undergraduate students prompts interdisciplinary behaviour. Advances in Engineering Education, 2 3: 1-22. Dokhanchi, Mohsen, Kavanagh, Lydia and Reidsema, Carl (2018). Factors that influence peer learning in social media enhanced engineering courses. In: 29th Australasian Association for Engineering Education, Hamilton, New Zealand, (). 9-12 December 2018. Fleming, Melanie, Kavanagh, Lydia, Reidsema, Carl, Waris, Ahsin, Lee, Misha, Liu, Siyu and Kara-Manning, Ruben (2018). Students as partners: developing a dialogue for change. In: 29th Australasian Association for Engineering Education, Hamilton, New Zealand, (). 9-12 December 2018. Reidsema, Carl, Kavanagh, Lydia, Fink, Esther M., Khosravi, Hassan, Fleming, Melanie and Achilles, Nicholas (2017). Analysing the learning pathways of students in a large flipped engineering course. In: Proceedings ASCILITE2017: 34th International Conference on Innovation, Practice and Research in the Use of Educational Technologies in Tertiary Education.. ASCILITE2017: 34th International Conference on Innovation, Practice and Research in the Use of Educational Technologies in Tertiary Education., Toowoomba, QLD, Australia, (372-382). 4 - 6 December 2017. Reidsema, Carl A., Kavanagh, Lydia, Ollila, Emmi, Otte, Stephanie and McCredden, Julie E. (2016). Exploring the quality and effectiveness of online, focused peer discussions using the MOOCchat tool. In: AAEE2016 Conference. 27th Australasian Association for Engineering Education Conference, Coffs Harbour, NSW, Australia, (). 4-7 December 2016. Chen, Shaun and Kavanagh, Lydia (2016). Pedagogical differences in Engineering Education at Taiwanese and Australian universities. In: Australasain Assoication for Engineering Education (AAEE2016), Coffs Harbour, Australia, (). 4-7 December 2016. Chen, Shaun and Kavanagh, Lydia (2016). Pedagogical differences in engineering education at Taiwanese and Australian universities. In: 27th Australasian Association for Engineering Education Conference, Coffs Harbour, NSW, Australia, (57-57). 4-7 December 2016. Reidsema, Carl A., Kavanagh, Lydia and McCredden, Julie Ellen (2016). Project design and scaffolding for realising practitioner learning in a large first year flipped classroom course. In: AAEE2016 Conference. 27th Australasian Association for Engineering Education Conference, Coffs Harbour, NSW, Australia, (). 4-7 December 2016. O'Moore, Liza, Kavanagh, Liza, Sofronoff, Kate and Day, Jamin (2015). Helping academics manage students with “invisible disabilities”. In: Aman Oo, Arun Patel, Tim Hilditch and Siva Chandran, Proceedings of the 26th Annual Conference of the Australasian Association for Engineering Education. 26th Annual Conference of the Australian Association for Engineering Education, Geelong, VIC Australia, (). 6-9 December 2015. Chen, Shaun, Kavanagh, Lydia, Reidsema, Carl and Gollagher, Susan (2015). Using a contextualised English support programme to assist international engineering students. In: Aman Oo, Arun Patel, Tim Hilditch and Siva Chandran, Proceedings of the 26th Annual Conference of the Australasian Association for Engineering Education. 26th Conference of the Australasian Associate for Engineering Education, Geelong, VIC Australia, (). 6-9 December 2015. Quental, Diogo, Reidsema, Carl and Kavanagh, Lydia (2014). Fostering ownership of learning in engineering education. In: Andrew Bainbridge-Smith, Proceedings of the AAEE2014 Conference. AAEE2014: 2014 Australasian Association for Engineering Education Conference, Wellington, New Zealand, (1-9). 8-10 December, 2014. Chen, Shaun and Kavanagh, Lydia (2014). Peer assessment barriers faced by international students engaging in project-based courses. In: Andrew Bainbridge-Smith, Ziming Tom Qi and Gourab Sen Gupta, 25th Annual Conference of the Australasian Association for Engineering Education : Engineering the Knowledge Economy: Collaboration, Engagement & Employability. 25th Annual Conference of the Australasian Association for Engineering Education, Wellington, New Zealand, (473-483). 8-10 December 2014. Kavanagh, Lydia and Reidsema, Carl (2014). The importance of narrative: helping students make sense of what they're learning. In: Andrew Bainbridge-Smith, Ziming Tom Qi and Gourab Sen Gupta, 25th Annual Conference of the Australasian Association for Engineering Education : Engineering the Knowledge Economy: Collaboration, Engagement & Employability. 25th Annual Conference of the Australasian Association for Engineering Education, Wellington, New Zealand, (779-787). 8-10 December 2014. Reidsema, Carl, Kavanagh, Lydia, Fink, Esther, Long, Phil and Smith, Neville (2014). The learning pathway: online navigational support for students within the structured flipped classroom. In: Andrew Bainbridge-Smith, Ziming Tom Qi and Gourab Sen Gupta, 25th Annual Conference of the Australasian Association for Engineering Education : Engineering the Knowledge Economy: Collaboration, Engagement & Employability. 25th Annual Conference of the Australasian Association for Engineering Education, Wellington, New Zealand, (788-795). 8-10 December 2014. Kavanagh, Lydia, Papinczak, Tracey and O’Moore, Liza (2014). Training tutors for undergraduate courses in engineering: the importance of context. In: Andrew Bainbridge-Smith, Ziming Tom Qi and Gourab Sen Gupta, 25th Annual Conference of the Australasian Association for Engineering Education : Engineering the Knowledge Economy: Collaboration, Engagement & Employability. 25th Annual Conference of the Australasian Association for Engineering Education, Wellington, New Zealand, (205-212). 8-10 December 2014. Papinczak, Tracey, Kavanagh, Lydia, O'Moore, Liza, Reidsema, Carl and Crosthwaite, Caroline (2013). Do as I say, not as I do: professional development of academics lacks contextualisation and sensitivity to discipline. In: Charles Lemckert, Graham Jenkins and Susan Lang-Lemckert, Proceedings of the 24th Annual Conference of the Australasian Association for Engineering Education: AAEE2013 Proceedings. AAEE 2013: 24th Annual Conference of the Australasian Association for Engineering Education, Gold Coast, QLD, Australia, (). 8-11 December 2013. Kavanagh, Lydia, O'Moore, Liza, Papinczak, Tracey and Delaney, Maria (2013). Graduate teaching assistant program: a pilot study in EAIT Faculty. In: Charles Lemckert, Graham Jenkins and Susan Lang-Lemckert, Proceedings of the 24th Annual Conference of the Australasian Association for Engineering Education: AAEE2013 Proceedings. AAEE 2013: 24th Annual Conference of the Australasian Association for Engineering Education, Gold Coast, QLD, Australia, (). 8-11 December 2013. Herbert, Jeremy, Smith, Elliot, Reidsema, Carl and Lydia Kavanagh (2013). Helping students find answers: algorithmic interpretation of student questions. In: Charles Lemckert, Graham Jenkins and Susan Lang-Lemckert, Proceedings of the 24th Annual Conference of the Australasian Association for Engineering Education: AAEE2013 Proceedings. AAEE 2013: 24th Annual Conference of the Australasian Association for Engineering Education, Gold Coast, QLD, Australia, (1-6). 8-11 December, 2013. Jolly, Lesley, Brodie, Lyn, Prpic, Juliana Kaya, Crosthwaite, Caroline, Kavanagh, Lydia and Buys, Laurie (2013). Improving teaching with research: the role for theory-driven evaluation. In: Chris Rust, Improving Student Learning: Proceedings of the 2012 International Symposium. Improving student learning through research and scholarship: 20 years of ISL, Lund, Sweden, (52-66). 29-31 August 2012. Jolly, Lesley, Kavanagh, Lydia and Howard, Prue (2013). Meaningful assessment: distinguishing learning outcome from product output in constructive alignment. In: Charles Lemckert, Graham Jenkins and Susan Lang-Lemckert, Proceedings of the 24th Annual Conference of the Australasian Association for Engineering Education: AAEE2013 Proceedings. AAEE 2013: 24th Annual Conference of the Australasian Association for Engineering Education, Gold Coast, QLD, Australia, (1-10). 8-11 December, 2013. Reidsema, Carl, Kavanagh, Lydia, Jolly, Lesley, Long, Phil and Adams, Robin (2013). Reimagining the dissemination of engineering education practices through a global learning partnership. In: Charles Lemckert, Graham Jenkins and Susan Lang-Lemckert, Proceedings of the 24th Annual Conference of the Australasian Association for Engineering Education: AAEE2013 Proceedings. AAEE 2013: 24th Annual Conference of the Australasian Association for Engineering Education, Gold Coast, QLD, Australia, (1-9). 8-11 December, 2013. Thonglek, Saranya, Ku, Hong-ming, Kavanagh, Lydia and Howes, Tony (2013). Stakeholders' perspectives of a work-integrated learning program: the Chemical Engineering Practice School. In: Charles Lemckert, Graham Jenkins and Susan Lang-Lemckert, Proceedings of the 24th Annual Conference of the Australasian Association for Engineering Education: AAEE2013 Proceedings. AAEE 2013: 24th Annual Conference of the Australasian Association for Engineering Education, Gold Coast, QLD, Australia, (1-10). 8-11 December, 2013. Smith, Elliot, Herbert, Jeremy, Kavanagh, Lydia and Reidsema, Carl (2013). The effects of gamification on student learning through the use of reputation and rewards within community moderated discussion boards. In: Charles Lemckert, Graham Jenkins and Susan Lang-Lemckert, Proceedings of the 24th Annual Conference of the Australasian Association for Engineering Education: AAEE2013 Proceedings. AAEE 2013: 24th Annual Conference of the Australasian Association for Engineering Education, Gold Coast, QLD, Australia, (1-9). 8-11 December, 2013. Crosthwaite, Caroline, Jolly, Lesley, Kavanagh, Lydia, Brodie, Lyn, Buys, Laurie and Turner, Jennifer (2012). Curriculum design and higher order skills: challenging assumptions. In: Conference Proceedings for EE2012 - Innovation, Practice and Research in Engineering Education. International Conference on Innovation, Practice and Research in Engineering Education (EE2012), Coventry, United Kingdom, (). 18-20 September 2012. Jolly, Lesley, Brodie, Lyn, Prpic, Juliana Kaya, Crosthwaite, Caroline, Kavanagh, Lydia and Buys, Laurie (2012). Curriculum development and educational research: the barriers to good practice and what to do about them. In: Llewellyn Mann and Scott Daniel, AAEE 2012 Conference Proceedings. 23rd Annual Conference of the Australasian Association of Engineering Education (AAEE 2012), Melbourne, Australia, (98-106). 3 - 5 December 2012. Burton, Lorelle, Dowling, David, Kavanagh, Lydia, O'Moore, Liza and Wilkes, Janelle (2012). Examining first year students' preparedness for studying engineering. In: Llewellyn Mann and Scott Daniel, AAEE 2012 Conference Proceedings. 23rd Annual Conference of the Australasian Association of Engineering Education (AAEE 2012), Melbourne, Australia, (1020-1028). 3 - 5 December 2012. Burton, Lorelle, Dowling, David G., Kavanagh, Lydia, O'Moore, Liza, Aubrey, Tim, Lowe, David, Wilkes, Janelle, Glencross-Grant, Rex and McBride, William (2012). Get set for success: an update on EngCAT Project. In: 23rd Annual Conference of the Australasian Association of Engineering Education (AAEE 2012), Melbourne, Australia, (). 3-5 December 2012. Crosthwaite, C., Jolly, L., Brodie, L., Kavanagh, L. and Buys, L. (2012). Making principled decisions about curriculum development: outcomes of a Realist evaluation across 13 universities. In: SEFI 40th Annual Conference proceedings. SEFI 40th Annual Conference, Thessaloniki, Greece, (61.1-61.7). 23 - 26 September 2012. Jennings, Michael, Kavanagh, Lydia, O'Moore, Liza and Haji Lakim, Siti (2012). Mathematical integration throughout the BE: lecturer expectations versus student knowledge. In: Llewellyn Mann and Scott Daniel, AAEE 2012 Conference Proceedings. 23rd Annual Conference of the Australasian Association of Engineering Education (AAEE 2012), Melbourne, Australia, (79-87). 3 - 5 December 2012. Crosthwaite, Caroline and Kavanagh, Lydia (2012). Supporting transition, engagement and retention in first year engineering. In: Conference Proceedings for EE2012 - Innovation, Practice and Research in Engineering Education. International Conference on Innovation, Practice and Research in Engineering Education (EE2012), Coventry, United Kingdom, (). 18-20 September 2012. Burton, Lorelle J., Dowling, David G., Kavanagh, Lydia and Aubrey, Tim (2011). A review of three approaches to determining students’ capabilities for studying engineering. In: Yasir M. Al-Abdeli and Euan Lindsay, Proceedings of the 2011 AAEE Conference. 22nd Annual Conference for the Australasian Association for Engineering Education (AAEE), Fremantle, WA, 2011, (273-278). 5-7 December 2011. Shepherd, Martin, McLennan, Amy, Kavanagh, Lydia and O'Moore, Liza (2011). Ready for first year? The use of pre-teaching diagnostic tests to prompt greater preparation and engagement among first year engineering cohorts at The Universities of Auckland and Queensland. In: Yasir M. Al-Abdeli and Euan Lindsay, Proceedings of the 2011 AAEE Conference. 22nd Annual Conference for the Australasian Association for Engineering Education (AAEE), Fremantle, WA, Australia, (582-587). 5-7 December 2011. Jolly, Lesley, Crosthwaite, Caroline, Brodie, Lyn, Kavanagh, Lydia and Buys, Laurie (2011). The impact of curriculum content in fostering inclusive engineering: Data from a national evaluation of the use of EWB projects in first year engineering. In: Yasir M. Al-Abdeli and Euan Lindsay, Proceedings of the 2011 AAEE Conference. 22nd Annual Conference for the Australasian Association for Engineering Education (AAEE), Fremantle, WA, Australia, (203-209). 5-7 December 2011. Tibbits, Gregory, Kavanagh, Lydia and O'Moore, Liza (2011). Understanding the community: Getting engineers on track. In: Yasir M. Al-Abdell and Euan Lindsay, Proceedings of the 22nd Annual Conference for the Australasian Association for Engineering Education (AAEE). 22nd Annual Conference for the Australasian Association for Engineering Education (AAEE), Fremantle, WA, Australia, (82-87). 5-7 December 2011. Thonglek, Saranya, Howes, Tony and Kavanagh, Lydia (2011). Work integrated learning: A realistic evaluation of KMUTT’s chemical engineering practice school. In: Yasir M. Al-Abdeli and Euan Lindsay, Proceedings of the 2011 AAEE Conference. 22nd Annual Conference for the Australasian Association for Engineering Education (AAEE), Fremantle, WA, Australia, (260-265). 5-7 December 2011. An evaluation of the EWB challenge-implications for future curriculum change. Jolly, Lesley, Kavanagh, Lydia and Crosthwaite, Caroline A. (2010). An evaluation of the EWB challenge-implications for future curriculum change.. In: Anne Gardner and Lesley Jolly, Proceedings of the 21 Annual Conference for the Australasian Association for Engineering Education. 21 Annual Conference for the Australasian Association for Engineering Education & 2010 Fall CD10 Collaborators' Meeting, University of Technology, Sydney, (16-17). 5-8 December 2010. Tibbits, Gregory, Jolly, Lesley, Kavanagh, Lydia and O'Moore, Liza (2010). Educational technologies and learning objectives. In: Proceedings of the 21st Annual Australasian Association for Engineering Education Conference (AaeE2010) : Past, Present, Future. 21st Annual AaeE Conference, Sydney, NSW, Australia, (518-525). 5-8 December 2010. Sochacka, Nicki, Jolly, Lesley and Kavanagh, Lydia (2009). A realistic evaluation of universal water metering in the United Kingdom’s South East. In: Proceedings of the Environmental Research Event 2009, Noosa, QLD. Environmental Research Event 2009, Noosa Heads, Queensland, (1-7). 10-13th May 2009. Kavanagh, Lydia, O'Moore, Liza M. and Samuelowicz, Katherine (2009). Characterising the first year cohort knowledge. In: Colin Kestell, Steven Grainger and John Cheung, Proceedings of the 20th Annual Conference for the Australasian Association for Engineering Education: Engineering the Curriculum. AAEE 20th Annual Conference of the Australasian Association for Engineering Education, Adelaide, Australia, (557-562). 6-9 December 2009. Sochacka, Nicki, Walther, Joachim, Jolly, Lesley and Kavanagh, Lydia (2009). Confronting the methodological challenges of engineering practice research: A three-tiered model of reflexivity. In: Research in Engineering Education Symposium Papers. Research in Engineering Education Symposium, Palm Cove, Queensland, (1-7). 20 July - 23 July 2009. Jolly, Lesley and Kavanagh, Lydia (2009). Working out and working in critical interdisciplinarity. In: Colin Kestell, Steven Grainger and John Cheung, Engineering the Curriculum. AAEE Conference 2009, University of Adelaide, (709-714). 6-9 December 2009. 'Realistic Evaluation': A useful approach for investigating interdisciplinary issues associated with urban water management? Sochacka, N., Kavanagh, L. and Jolly, L. (2008). 'Realistic Evaluation': A useful approach for investigating interdisciplinary issues associated with urban water management?. In: Universitas 21 Postgraduate Student Conference, Birmingham, U.K., (). 20-23 July, 2008. Kavanagh, L. and O'Moore, L.M. (2008). Reflecting on Reflection - 10 years, Engineering, and UQ. In: Mann, L., Thompson, A. and Howard, P., 19th Annual Conference for the Australasian Association for Engineering Education. AAEE19th Annual Conference of the Australasian Association for Engineering Education, Yepoon, Qld, (1-6). 7-10 December 2008. Hyde, Richard, Prasad, Deo, Blair, John, Moore, Richard, Kavanagh, Lydia, Watt, Melinda and Schianetz, Karin (2007). Reviewing benchmarking approaches for building environmental assessment (BEA) tools - Rigour versus practicality. In: , , (551-558). .
Kavanagh, L. and Steer, J.M. (2007). A process for proactively ensuring student team success; perceptions of students and lecturers. In: Sandergaard, H. and Hadgraft, R., AaeE 2007: Eighteenth Annual Conference. AaeE 2007: Eighteenth Annual Conference, Melbourne, (1-8). 9-13 December 2007. Sochacka, N., Kavanagh, L. and Jolly, L. (2007). Ecologically sustainable urban design: Grappling with the social issues. In: Proceedings of the Environmental Research Event 2007. Environmental Research Event 2007, Cairns, Australia, (). 2nd - 5th December, 2007. Kavanagh, L. and O'Moore, L.M. (2007). Enriching the teaching experience at UQ. In: Sondergaard, H. and Hadgraft, R., Proceedings of the 18th Conference of the Australasian Assocation for Engineering Education AaeE 2007. 18th Conference of the Australasian Assocation for Engineering Education AaeE 2007, University of Melbourne, Australia, (1-7). 9-13 December 2007. Lesley Jolly, Nicki Sochacka and Lydia Kavanagh (2007). Reconceptualising social sustainability in urban development. In: International Conference on Engineering Sustainability (SSSE Conference 2007): Sustainability in a Changing World, Sheraton Hotel, Perth, (). 31 October-2 November 2007. Hyde, R., Prasad, D., Blair, J., Moore, R., Kavanagh, L., Watt, M. and Schiantez, K. (2007). Reviewing benchmarking approaches for building environmental assessment tools (BEA): rigour versus practicality. In: Stephen K Wittkopf and Beng Kiang Tan, Sun, wind and architecture : the proceedings of the 24th International Conference on Passive and Low Energy Architecture : PLEA2007, 22-24 November 2007, National University of Singapore, Singapore. 24th International Conference on Passive and Low Energy Architecture, National University of Singapore, (577-584). 22-24 November 2007. We're in Their Hands: Teen Space Settlement Designs Display Engineering and Active-Learning Skills but Their Plans Fall Short on "Liveability"
Cokley, J. D., Kavanagh, L., Johnson-Woods, T. M. and Bloomer, R. (2007). We're in Their Hands: Teen Space Settlement Designs Display Engineering and Active-Learning Skills but Their Plans Fall Short on "Liveability". In: Short, W. and Cairns, I., Refereed proceedings of the 7th Australian Space Science Conference. 7th Australian Space Science Conference, Sydney, (9-20). 24-27 September 2007. Moore, Richard, Hyde, Richard and Kavanagh, Lydia (2006). Planning and designing better precincts: the development and testing of an environmental planning and design assessment tool in a precinct case study. In: Subtropical Cities Conference, Centre for Subtropical Design, Brisbane, (). 26-29 September, 2006. Hyde, R. A., Moore, R., Kavanagh, L., Watt, M., Prasad, D. and Blair, J. (2005). Development of a planning and design tool for assessing the sustainability of precincts. In: Henry Skates, Fabricating Sustainability: 39th Annual Conference of the Australian and New Zealand Architectural Science Association (ANZAScA). 39th Annual Conference of the Australian and New Zealand Architectural Science Association (ANZAScA), Victoria University, Wellington, New Zealand, (1-8). 17-19 November, 2005. Kavanagh, Lydia J., Schianetz, Karin, Dalton, Gordon and Lockington, David A. (2005). Sustainability and engineering in the Australian tourism sector. In: Book of abstracts : 7th World Congress of Chemical Engineering, incorporating the 5th European Congress of Chemical Engineering. 7th World Congress of Chemical Engineering, incorporating the 5th European Congress of Chemical Engineering, Glasgow, (x-x). 10-14 July 2005. Keller, J. and Kavanagh, L. J. (1999). The Possibility for ecological wastewater treatment at remote australian resorts. In: J.A Scott and RJ Pagan, Proceedings of the 2nd Asia Pacific Cleaner Production Roundtable. Global Competiveness through Cleaner Production, Brisbane, (641-648). 21-23 April, 1999. Kavanagh, Lydia Jane. (2003). An engineered ecosystem for environmentally sustainable wastewater treatment for remote tourist resorts in tropical/sub-tropical regions PhD Thesis, School of Engineering, The University of Queensland.